Lavender Milk Steamers are one of my favorite warm drinks for cold winter days (and nights). 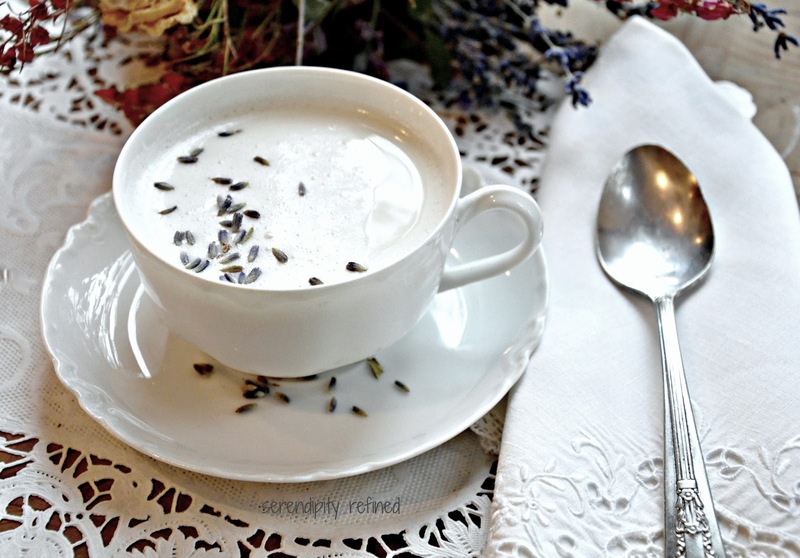 In case you haven't noticed, I'm a huge fan of lavender...for pretty much everything...including food...and beverages. 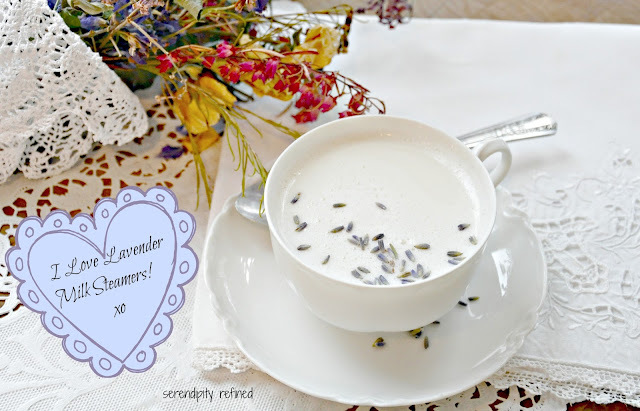 You'll see more lavender in the coming months as I have several wonderful spring and summer recipes that use my favorite culinary herb. You don’t need a fancy espresso maker to create a milk steamer. As long as you have a saucepan, stove & whisk, you can make this drink. 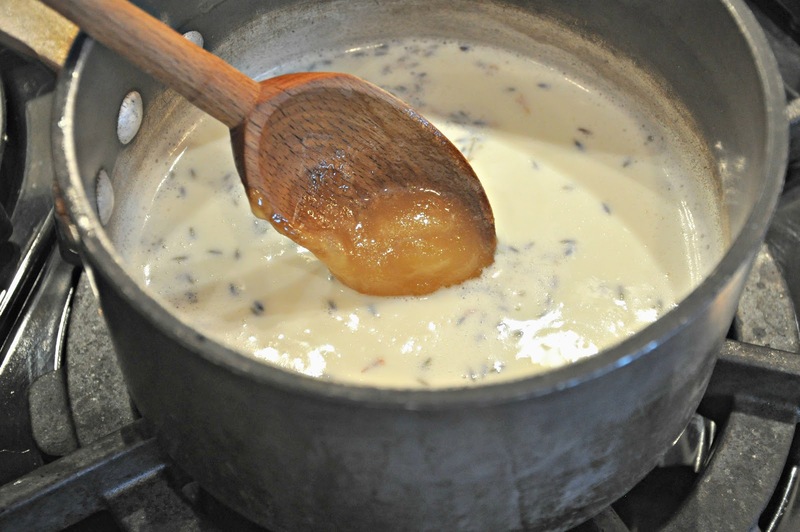 Add a drizzle or spoonful of your favorite sweetener or just enjoy as is. In a small saucepan, heat the milk and lavender over medium heat until hot (but not boiling.) Stir occasionally and warm for 15 minutes. This infuses the milk with lavender flavor. 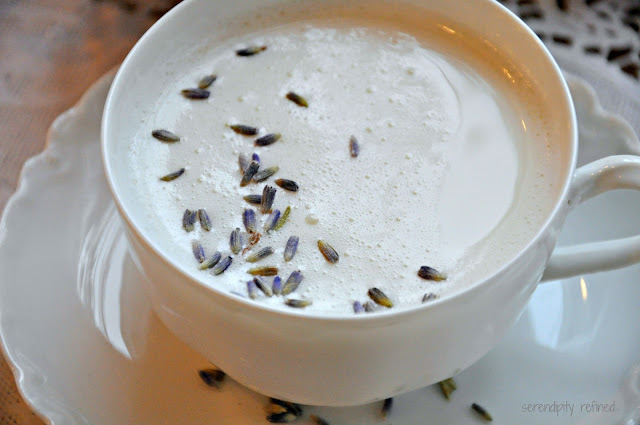 Remove from heat and strain out lavender petals, discard. 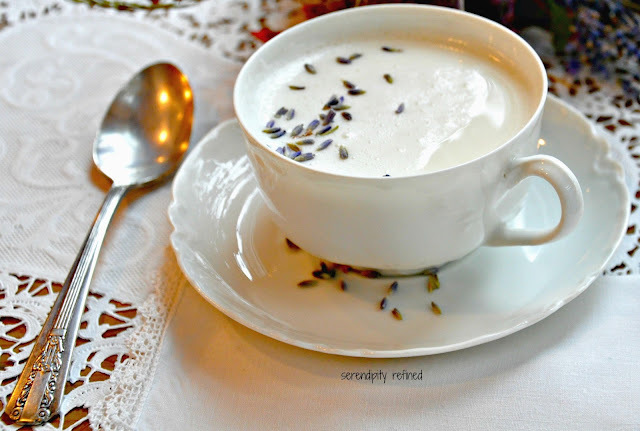 Froth the milk with a frother or whisk vigorously. Pour into cups and serve immediately.